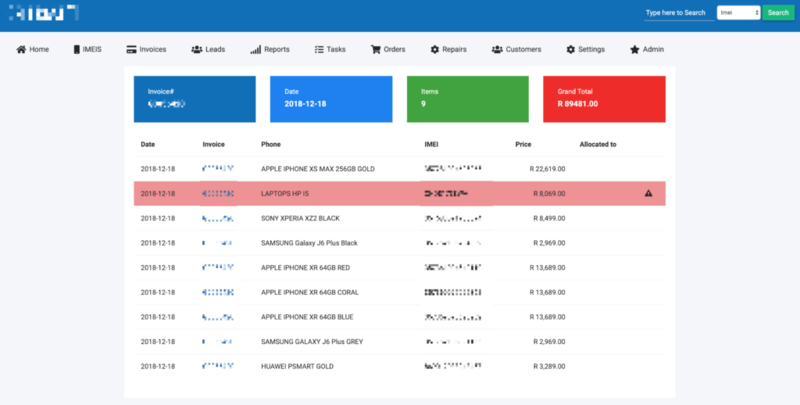 This software was developed to help manage cellphones and claims against major cellphone companies in order to prevent missing claims and saving money. 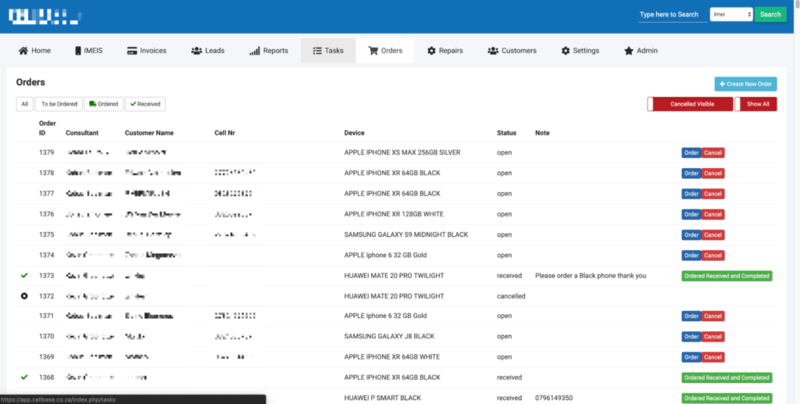 Add and manage invoices which in turn adds the phones to the DB with unique IMEI. Each phone has to be claimed from the supplier. Due to mass amounts of phones being sold certain claims was missed. This application prevents that via reports that can be pulled. Each phone can be allocated to a customer which is also added to the database in order to build up a client base for marketing. Leads can be added under customers which can then be converted to a cellphone owner. Orders can be placed on the system to allow for the staff to keep track of cell phones ordered. Repair tickets can be created for phones and the phone can be marked as sent away to suppliers and billed after return.